Posted on Tue 28 Jul 2009 at 4:13 PM PST. Filed under Filmmaking, Hardware. 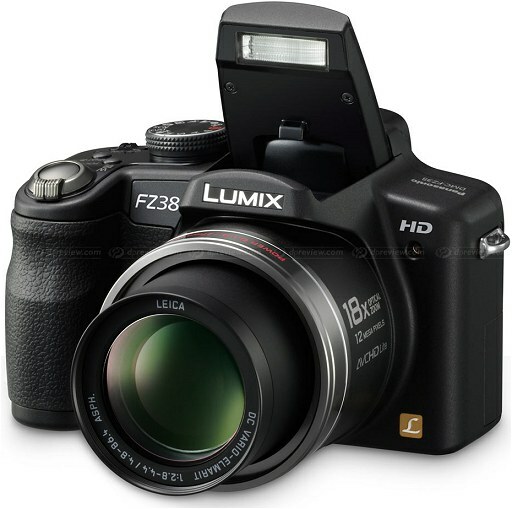 Panasonic announced yesterday the FZ38, an 18x super-zoom camera (called FZ35 in US). Not really the brightest idea for a digicam purchase. However, this camera has other features that can prove very useful to people who need 24p with manual controls for cheap ($400). See, this camera is the first consumer non-DSLR digicam that offers manual controls in video mode! It has both shutter speed and aperture controls! At this point, I can only assume that when in this manual video mode, the exposure will stop jumping left and right as it does currently with other Panasonic digicams. Then, there’s the frame rate thing. According to DPReview, the camera can do 25p and 30p (depending which model used, European or US), at 17 mbps AVCHD-Lite. However, it saves the videos in a really bad way, and makes editors *think* that it has recorded in 50p and 60p, while in fact it just has duplicated the frames. On Sony Vegas you have to specifically tell it to use either 25 fps or 30 fps (depending if you used the European or the US model) in order to avoid the duplicated frames. Sample 25p/50p .mts file here (bottom of the page). So in a scenario where you shot in 25p (with 1/50th shutter speed), you edit as such, and at the end you re-time the video to become 24p (if desired). This will produce a very filmic motion look, as close as it gets with a digicam. Yes, there are other cheap digicams that do 24p right out of the box, but they don’t offer manual shutter speed control, which is an important ingredient in the quest to get the filmic motion look. – To get the 25p recording you need to buy the European (FZ38) version. Posted on Tue 28 Jul 2009 at 1:56 AM PST. Filed under Filmmaking. 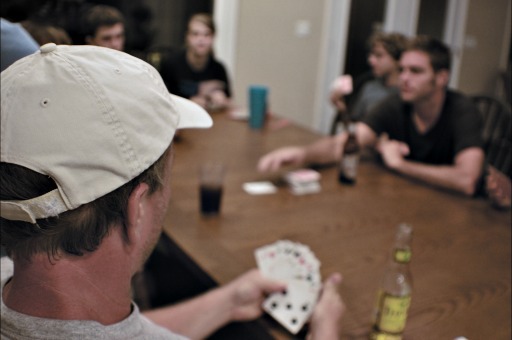 Picture by Alex Witherspoon, licensed under the Creative Commons “Attribution” 2.0 license. Used Sony Vegas’ color corrector to fix the white balance, then used a modified “bleach bypass” Magic Bullet look, and a bit of unsharpen mask to give it a more filmic look.